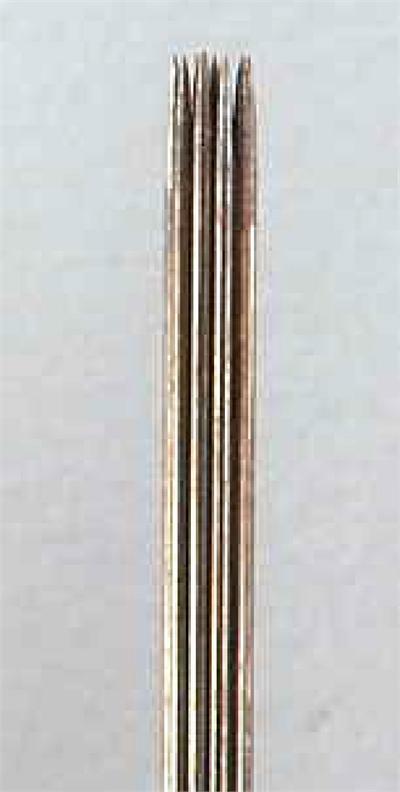 Individually packaged and designed for one-time use, this disposable 11-Prong Needle is for use with the Platinum 6000 Digital Permanent Cosmetics machine. Perfect for full lip and areola procedures, corrective pigment camouflage, eyebrow fill-in, skin and facial needling, tattoo removal, melanocyte restoration and scar relaxation. 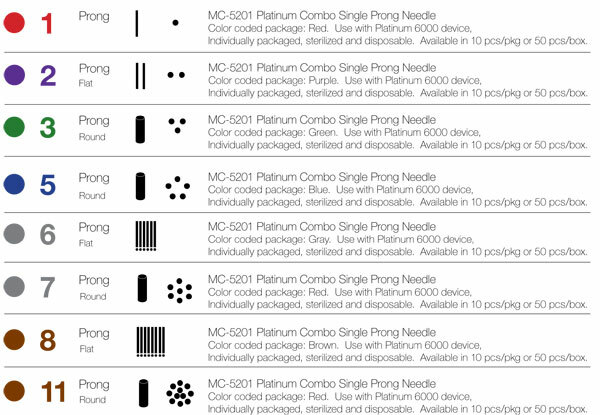 Tips to cover 5, 7 and 11-Prong Needles for the Platinum 6000 Digital Permanent Makeup Machine. Order packages of 10 or 50 tips. 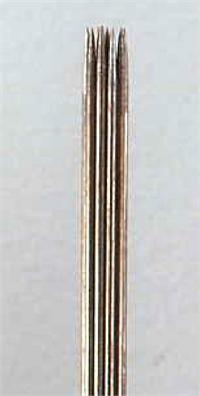 These Disposable Casings cover the coupler and needle of the Platinum 6000 Digital Permanent Cosmetics machine. Order packages of 10 or 50 casings.